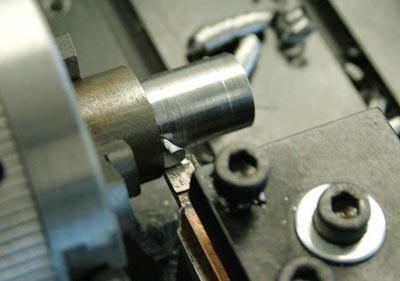 Aerosupply Scandinavia AB have sold Sherline Lathe, Mill and CNC machines and accessories for almost 20 years now all over Europe. We take pride in personal service and after sales support. You can always call us and ask anything after a sale and we will do our best to help you with your new machine. We do not have the latest fancy internet page with ordering functions, etc, but we make up for that in old fashioned service minded support after the sale! Prices are the same as on Sherlines website; www.sherline.com/prices.htm (For sales in Sweden (and to private customers in the European Union, who do not have a European VAT-registration number), VAT(moms) will of course be added...), and items will be invoiced in Swedish kronor (SEK), based on the IATA-exchange rate (which approximately corresponds to the "buy" USD-rate at www.forex.se), at time of order/invoicing. -We do not charge customs charges and freight on orders above USD 1450.00* from the States to Sweden and this corresponds to a 15-20 percent discount on the prices listed on Sherlines homepage. -We have many items in stock, and those we do not have will take appx. 1 week to arrive here after payment. We nowadays ship direct to us from Sherline via UPS, so orders arrive here fast at no extra charge to you*! -Contact us for the best Sherline-service in Scandinavia and Europe now!!! 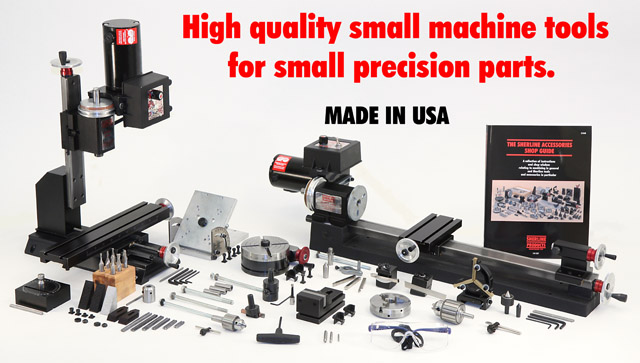 We sell all Sherline machines/accessories and packages, except with PC. 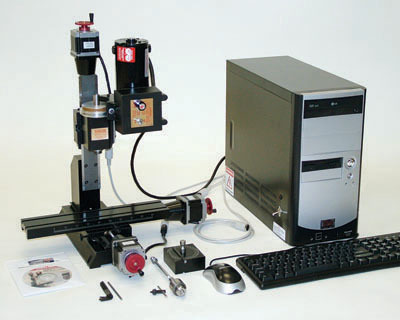 On machine CNC-packages where computers are included in USA, we sell same system without computer in Europe, due to international regulations/difficulties, but software is included and every normal PC can be used.